11th June 2016 at 18:30 (IST). 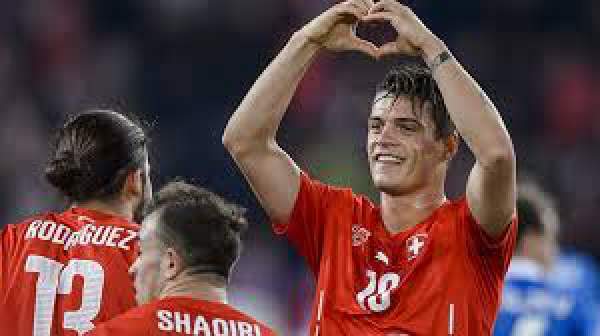 Switzerland is the country in which the headquarters for both FIFA and UEFA are located, made it in three FIFA World Cups when the competed in 2014 World Cup in Brazil, having topped their qualifying group with seven wins and three draws in their ten matches. Their journey to UEFA EURO 2016 was less straightforward, as they faced three defeats, but they eventually finished second place in their group after England. All three of the country’s UEFA Euro Championship final tournament appearances have resulted in group stage elimination, including the one in 2008 which they hosted with Austria. For years, Switzerland was subject to some defeats, until the appointment of Roy Hodgson signaled a change in destiny. Having qualified for the 1994 World Cup, their first time in 28 years, Hodgson then led the team to EURO 1996 after topping their group that contained Turkey and Sweden, although Artur Jorge took charge for the final tournament. They kicked off their finals by drawing 1-1 with hosts England, before consecutive defeats against the Netherlands and Scotland ended their campaign. Albania has been a founder member of UEFA but has never qualified for a major tournament until reaching UEFA EURO 2016, although there was a sign of things to come with improved recent results under experienced coaches like German Hans-Peter Briegel and the Dutch Arie Haan. Albania has not finished last in their group of a qualifying group stage in their last seven campaigns indeed, but for a poor finish to 2014 FIFA World Cup qualifying, they might have reached the playoffs under Italian Gianni De Biasi, the man who stayed on to guide them to France as Group I runners-up. Albania’s introduction to the UEFA European Championship brought a famous win in a lost cause, a pattern that continued until UEFA EURO 2016 qualification. Having sat out the inaugural tournament, they achieved their first success in the competition against Denmark in the last 16 of the 1964 edition. A side that was led by the country’s greatest player, Panajot Pano, won 1-0 in Tirana, but the Danes had already done the damage with a 4-0 first-leg victory. Burki, Lichsteiner, Schar, Bergen, Rodriguez, Behrami, Xhaka, Shaqiri, Dzemaili, Embolo, Derdiyok. Berisha, Hysaj, Cana, Mavraj, Agolli, Xhaka, Kace, Abrashi, Roshio, Sadiku, Lenjani.